Scripture of the Month - Erasable Print! We are so excited to launch this fun new product! After you print our design on your favorite piece of scrapbook or card stock paper, cut it down to size 8"x10" (or the 11"x14" size - your choice! OR print BOTH sizes!) and place in your favorite frame. 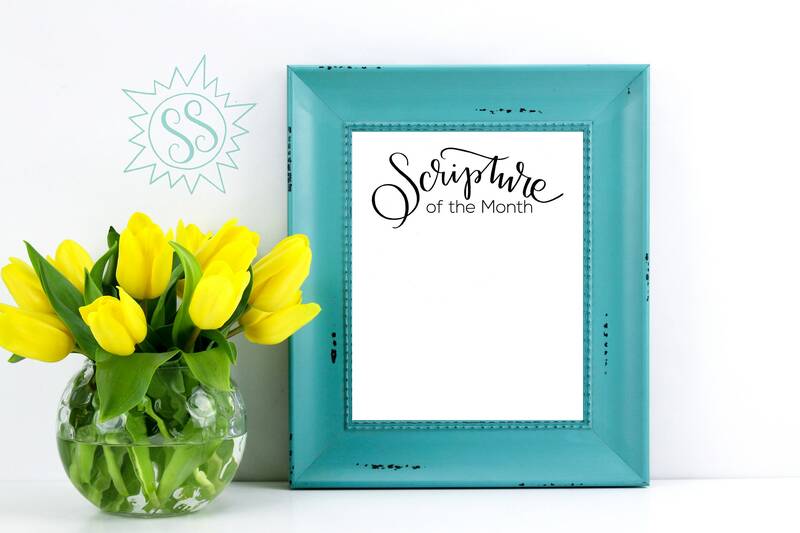 Then, choose your "Scripture of the Month" and write it on the glass of the frame with a dry erase marker! What a great visual cue to keep your family's hearts on the word. And get creative with this! Put magnets on the back of the frame and place it on your fridge! Or put it on your desk at work. Or hang it in the bathroom (the room EVERYone visits ;-)). Simply purchase, print, and frame to begin your journey with this visual scripture cue in YOUR home! This is NOT sold as a framed piece. This will not be shipped to you. The files are instant .pdf downloads. This listing contains (2) file sizes - 8x10 AND 11x14. THE 11x14 FILE WILL NEED TO BE SENT TO A PRINTER (ie - OfficeMax, the UPS Store, or any local professional printer in your area). Because of the larger, 11x14 size it cannot be printed on your home printer. The 8x10 file can be printed with any home printer unit. We always recommend using a thick cardstock for printing. Please contact me directly at jessgard83 [!at] gmail.com or message me here on Etsy with any questions!